Radicalisation of students by Islamist groups is a growing problem at some UK universities, the BBC has been told. Muslim sources said at certain campuses radical Islamist groups have secretly been recruiting new members, preying on those they regard as vulnerable. 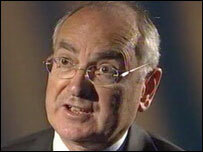 Professor Anthony Glees, of Brunel University, said the authorities were doing little to tackle the problem. But the Federation of Student Islamic Societies said it had found no evidence of widespread radicalisation. The overwhelming majority of British Muslim students have no interest in violence. Whatever misgivings they may have about British foreign policy and police actions in the UK, they see their religion as one of peace. But a number of Muslim sources have told the BBC that radicalisation at certain universities is on the increase and those seen as vulnerable to indoctrination are being targeted. London's Metropolitan University has appointed a respected, moderate Imam to tackle the problem. Sheikh Musa Admani has been working hard to steer a small number of students away from extremism, which can eventually lead to terrorism. He admits he has not always been successful. "The radical groups use videos where they try to show that Muslims are always victims. "This is how they try and manipulate and dominate the impressionable young people's thoughts." 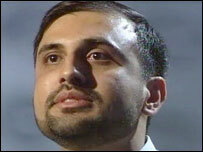 Jawad Syed was one of those impressionable young people. When he arrived for his first year at Brunel University, in west London, he knew no one, but he was befriended by a group of fellow Muslim students. He had no idea at first that they were working to a political agenda to establish an Islamic state. But as he attended more of their meetings in halls of residence, he said they began persuading him to isolate himself from other students, even from other Muslims, if they did not share the same agenda. "They were very much anti-western with anti-western sentiments," he said. "And I clearly saw and experienced that they would use any means to achieve their aims, including violence." He said that the group would discuss the latest news from the Middle East and the UK, but that it was nearly always in terms of confrontation, fostering an atmosphere of hatred. "Once they've established that basis of hatred they have you. And then you start working closely with them, under their political agenda, in achieving their greater aim." There is, of course, a world of difference between righteous indignation at government policies and embarking on the road to committing an act of terrorism. Radical Islamist groups in the UK, while deeply critical of the government, have nearly always distanced themselves from al-Qaeda. But in his secluded circle of university radicals, Jawad found he was getting slowly drawn down a path towards violent jihad. "If you create hatred within a human's personality what will you expect for him then?" he said. "I was going towards that thing. I would have engaged in violence. Luckily that didn't happen, but that was going to happen." To the dismay of his parents, Jawad was preparing to drop out of university and travel abroad to further the aims of his group. But he was talked out of it by other, moderate, mainstream Muslim students. University Islamic societies see themselves as a bulwark against violent trends. Abida Malik, from Nottingham University's Islamic Society, believes it has an effective way of fending off infiltration by extremists. "We can't fully guarantee that it would never happen but one of things we try and promote is getting to know our members one to one. "So we have a lot of social events, a lot of things that integrate all our members - we have lots of circulation of e-mails to get people involved." On a national level, the Federation of Student Islamic Societies (FOSIS) denies there is a problem. Faisal Hanjra, head of FOSIS student affairs, said: "Following 7/7 there have been a number of accusations made by a number of individuals that there is this widespread radicalisation taking place. "We ourselves have conducted a survey and we found no evidence of this... on campuses. "Obviously we can't account for every single one of the 90,000 Muslim students that are studying in higher education, and one or two may slip through the net, but this general notion of radicalisation taking place is a notion that we firmly refute." Professor Glees drew up a report on the dangers of campus radicalisation a year ago and denied he was exaggerating the issue. "I think that the university authorities and the police Special Branch, in particular, are beginning to understand there is a serious problem with campus radicals and extremists. "But essentially what they are doing is fire-fighting, they're dealing with problems after they have presented themselves." Moderate, mainstream Muslim students continue to outnumber the extremists. If anything, they are more on their guard now than ever before for signs of someone getting indoctrinated by a violent ideology. But Jawad, the former radical, says it is individuals preying on individuals that is the problem. He believes that if campus radicalisation is not stopped then a creeping culture of hatred will lead inexorably to student suicide bombers.